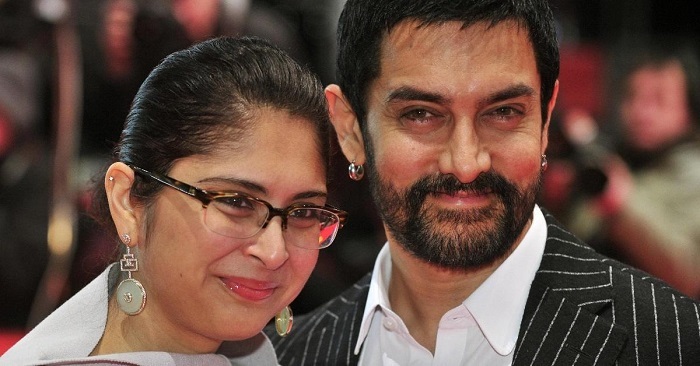 The perfectionist Aamir Khan and his wife Kiran Rao have both sent out a joint statement in Twitter. The statement says that they have always stood by social issues and keeps ‘zero tolerance policy towards any sexual misconduct and predatory behavior of any kind’. The couple had decided to discontinue their ties with a film they were about to work as the director of the film was accused of sexual harassment. The tweet didn’t particularly mention the director’s name or the film they stepped away from. “As creative people we have been committed to foregrounding and finding solutions to social issues, and at Aamir Khan Productions we have always had a zero-tolerance policy towards sexual misconduct and predatory behaviour of any kind. We strongly condemn any act of sexual harassment, and equally we condemn any and all false accusations in such cases. Two weeks ago, when traumatic #MeToo stories began emerging, it was brought to our attention that someone we were about to begin work with has been accused of sexual misconduct. Upon enquiry we found that this particular case is subjudice, and that the legal process is in motion. We are not an investigative agency, nor are we in any position to pass judgement on anyone – that is for the police and judiciary to do. So, without casting any aspersions on anyone involved in this case, and without coming to any conclusions about these specific allegations, we have decided to step away from this film. We do not want our action to reflect in any manner on the people involved in this case. We believe that this is an opportunity for the film industry to introspect and take concrete steps towards change. For far too long women have faced the brunt of sexual exploitation. It has to stop. In this regard we are committed to doing any and everything to make our film industry a safe and happy one to work in. Mogul is a Gulshan Kumar Story that was written and was to be directed by Subhash Kapoor, who had been accused of molestation by actress Geetika Tyagi in 2014. The film was to be produced by Bhushan Kumar and Aamir Khan where Aamir Khan would have played the role of Gulshan Kumar. Gulshan Kumar was the founder of the T-Series music label (Super Cassettes Industries Ltd.), and a Bollywood movie producer. The film was set to release in 2019. Ooo 🙁 bollywood time to be scared. Cuz u know yourself.